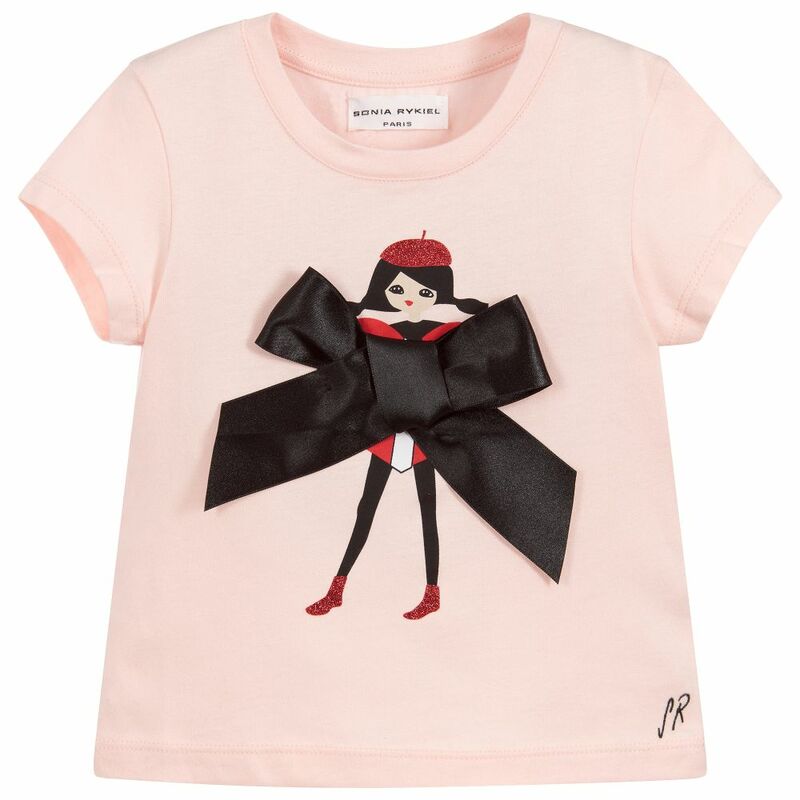 Girls pale pink T-shirt by Sonia Rykiel Paris, made in super soft cotton and modal blend. On the front, there is a fun glittery girl print with an oversized black satin bow. Girls pink hooded zip-up top by Sonia Rykiel Paris, with a red cherry print. It is made in cotton sweatshirt jersey, with a zip fastening and logo ribbon drawstring in the hood. A black and white striped cotton T-shirt for girls by Sonia Rykiel Paris, made from soft and stretchy jersey. This lovely lightweight top has a red hearts and lips graphic on the front; with sparky glitter details and 'Sonia Rykiel' logo.